The Gingerbread Castle Digital Library is the “second” Library in Hamburg, New Jersey. The only physical library, in the town of Hamburg is located within the Hamburg Elementary School. A few people have mentioned that there was once a private lending library in Hamburg and also a Library in the original High School, but I have not found details on these earlier libraries. If anyone has the details on either one please let the us know and together we can tell the story of those libraries too! The first two librarians recently shared their stories with the Gingerbread Castle Library Project. 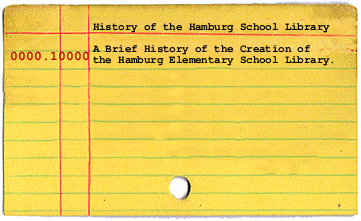 In the 1960’s, the Hamburg School decided it was time to have a Library. No public library was available in the town and the nearest public library was in the neighboring town of Franklin. One of the fourth grade teachers, Linda Pellett Lannin, was assigned the job of creating the library from scratch. For this extra job she was paid $300 in addition to her annual salary. To tackle the challenge, she was given one day away from her regular classes, to spend on site at the Sussex County Library, in training. 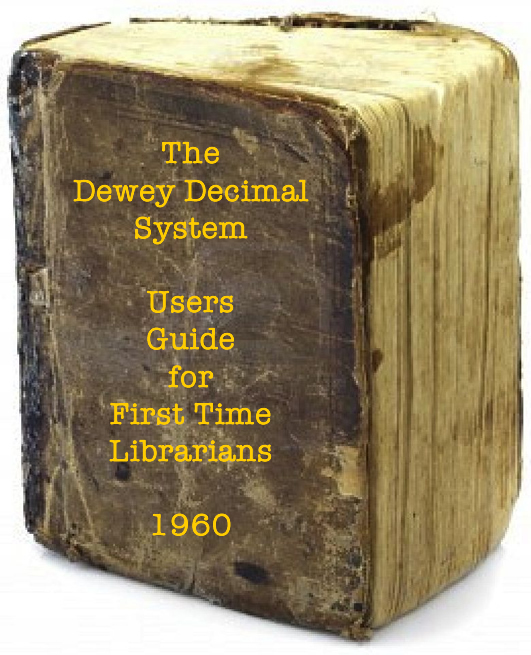 The Library training she received that day was that she was given a small book about the Dewey Decimal System as well as the names of various Library Suppliers to buy books from, as well as those little cards and pockets that you put in the backs of books. Now she was officially trained to be the Librarian, and so she began to build the collection that would be housed in a small room near the “front office”. Mrs. Lannin ran the library with the assistance of several student volunteers as well as a person from the community, Mrs. Alfred Perlee. Mr. Tom Reilly was the school principal at the time. A photo was taken by the New Jersey Herald to mark this important development in the school’s history. The library program continued this way for a while until the school hired Mrs. Shirley Fowler to takeover the job of Librarian. Mrs. Fowler also happened to be Mrs. Lannin’s across the street neighbor; Hamburg is a very small town. Mrs. Fowler picks up the story from this point. Mrs. Fowler joined in 1966 as part-time librarian and also to teach physical education and health to the Hamburg girls in the upper grades. 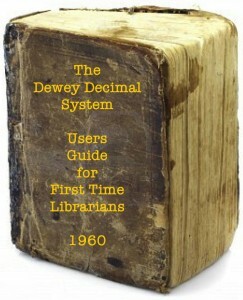 At that time, she had no official library training, but never-the-less, armed with the trusty Dewey Manual, she charted her course. Mrs. Fowler, now juggling multiple roles at the school, raising her family and being busy as the local Episcopal Minister’s wife, started the necessary courses for certification as a teacher-librarian. Her previous training, prior to coming to Hamburg, had involved teaching physical education in Vermont, as well as experience teaching French. She recalls the professional challenges of running a small library, part-time, that also happened to be located right next to the principal’s office. Every new idea that came upon the administration found its way to her desk. Mrs. Fowler continued to work and eventually finished her formal library training in 1969. Unfortunately, there was a funding issue involving the Board of Education and a much needed additional bookcase, and Mrs. Fowler made the decision to leave the Hamburg School and move to the County Vo-Tech High School in the role of full-time librarian. 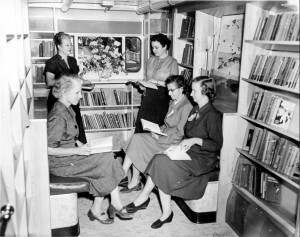 After Mrs. Fowler’s departure, as the Hamburg Library collection grew, it became obvious that the tiny Library space was inadequate. Fortunately, the School embarked on a construction project to create a joining corridor between the two original school buildings. Part of this expansion plan included the creation of a new library, built for purpose. The newly expanded library meant greater floor space and lots more shelf space. Some design challenges, included have many stacks that towered over the heads of the elementary kids and some oddly positioned electrical outlets, detracted, but overall the increased space, however, was a wonderful and welcomed change to modernize the Library Program. Modernization also included making the role of the Librarian a full time position. Mrs. Fowler knows all of this because she eventually left Vo-tech and returned to Hamburg School and resumed her position as the Librarian. Mrs Fowler recalls the importance of the Sussex County Library System’s Bookmobile service to running the program. Access to the Bookmobile enabled the Hamburg School to offer its students and faculty a much greater variety of materials without having to purchase these items directly. Many thanks Linda Lannin and Shirley Fowler for helping get the Library off to a great start. 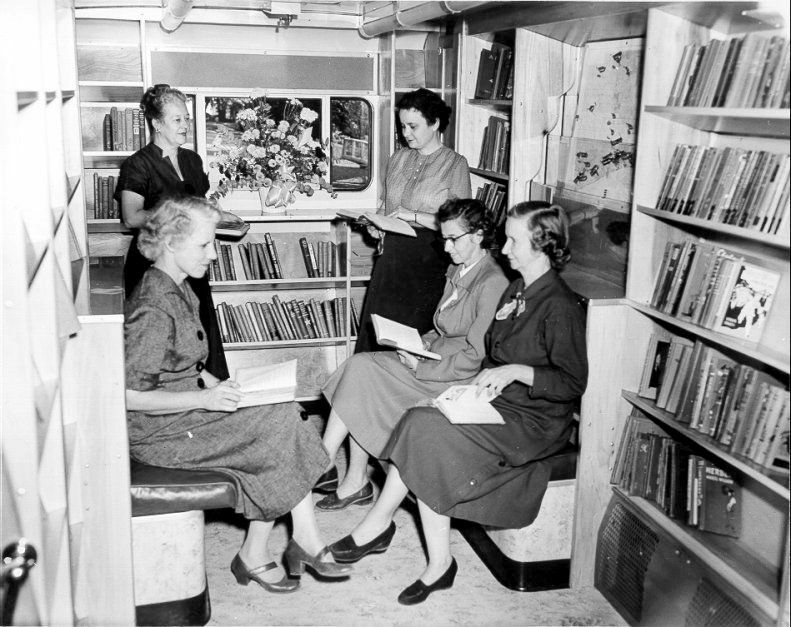 One of my greatest joys as a child was to go to the bookmobile. I always had a passion for reading and I still do. This is a wonderful memory. Does anyone know the name of the lady who always came to our school with the bookmobile? very interesting -too bad that I wasn’t aware of this years ago when I was the Media Specialist at Hamburg School from 1977 -1995….many changes were made in those years for the better, I hope. Students knew their way “around a library” when they went to high school -often came back to me and said -Hamburg kids knew much more about the use of a library than the other elementary school kids – which made me very happy…. Mrs. Holfeld you were my librarian the entire time K-8 at Hamburg. I remember being younger and listening to the books on cassette and reading time! I have never forgotten “Our Mrs. Lannin” or that lady who took a less challenging book out of my hands and handed me one more progressive than my age and grade, Mrs. Shirley Fowler. She helped and encouraged me to read a wide variety of fiction and nonfiction, which I have continued these past 45+ years. I could write a volume of memories about these 2 women who had been quite significant individuals in our daily lives for many years. It is remarkable to me finding this webpage while looking for someone else. They have been on my mind for several weeks and now I probably know the reason–to thank them for guiding us all. I remember Mrs. Lannin, how she inspired our 4th grade class with projects like reproducing a Native American village in miniature, gathering all sorts of leaves and seeds for display so that we could identify them more easily, for keeping her practiced poise whenever Mrs. Webb’s startling, cannon like sneezes exploded through the chalk board from the next classroom. I remember, too, that day when there was no more prayer in school, her expression when we just had to sit there quietly, and when things in her life began to change /evolve in a manner we couldn’t fully comprehend, but felt within our sprouting empathetic antennae. Even in later grades, and into high school, her kind and thoughtful little admonitions to respect and not ridicule another classmate’s shortcomings or appearance made it easier to accept those who were different from ourselves or spurned or looked down upon by other students. I remember all my teachers and Mrs. Linda Lannin is Head of The Class, for she exemplified the definition of class. One day, for a high school assignment, I went to the library. I saw this lady, back turned from me while she quitely spoke to a student. Tears came to my eyes because I’d recognize that lady’s stance anywhere she would be in the world–Mrs. Fowler. My family had moved from Hamburg but Hamburg didn’t move from me, I could still recall everyone’s name, all the street names, all the cool things to do and locations to do them in. Most of all, I remembered faces and the characteristics of certain people, especially those I respected and admired. I thought she might not remember me “hardly at all” and I was just about to sneak past and leave when she saw me. She stood there with one of her big smiles, arms filled with books, and from all my former experiences with her I knew she wouldn’t stop to chit chat, she was quite busy. We did catch-up later that day. Her life, too, had gone through some changes that had begun shortly before I left Hamburg and I could see some of the effects around her eyes, like my aunt’s eyes changed when she had to start carrying the entire burden for her family. I hope my wonderful Librarian realized the value people placed upon her character, for she is truly a priceless human being. Thank God she was placed to be an influential part of my youth I had the privilege to know. I learned to read as a young student in Hamburg Elementary School… I still remember the magical feeling that would come over me during reading classes with Mrs. Benner in first grade and then Mrs. Ellis in second. Unlocking the reading code was so exciting… turning letters into words and words into sentences and then into paragraphs and chapters and whole books! What magic. At the time there was no library at the school and I remember my mother used to take me to a house on Route 23 that was a door or two up from the Presbyterian Church by Oak Street. I don’t know the ladies name but she had a whole room full of books and she used to let me borrow them. I was only there a few times but I do remember my mother telling me that the lady who lived there let people borrow books like you could from a library. Soon after I started going there the Franklin Branch of the Sussex County Library System opened and I was allowed to walk all way there to borrow books. The first time I went, Miss Henry told me I would need a note from my mother before I could get a library card so she gave me a ride to my house in the book mobile. I told her not to drive it into our narrow little dead end street but she assured me it was okay and away we went. I got my note and all the Moms on the street came out to help Mill Henry turn the big book mobile around but she did it and we were soon on our way back to the library where I proudly checked out my first book with my very own library card.